Garmin International Inc., a unit of Garmin Ltd., the global leader in satellite navigation, announced the aerodynamic Edge 500, an evolutionary leap in cycling technology. Weighing a mere 2 ounces, Edge 500 features a high-sensitivity GPS receiver, requires no calibration, can be switched quickly and easily between bicycles and connects wirelessly with ANT+™ compatible third-party power meters. Cyclists can track Team Garmin’s featured rides – or download, analyze and share rides of their own – by participating in Garmin ConnectSM, an online community that brings together millions of activities around the world. 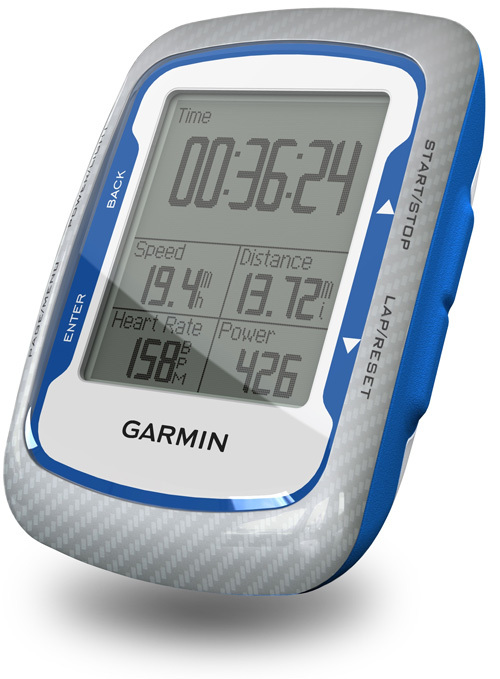 Garmin Connect displays metrics such as time, distance, speed, elevation and heart rate. This information is shown through charts, illustrations, reports and a variety of map representations including street, photo, topographic, and elevation maps as well as the popular Google Earth application. Garmin Connect users can search for activities in their area and try the activities for themselves by uploading the data to Garmin devices, which will then guide the way.